Audiences across Wales and the world will get a chance to see Welsh National Opera’s new opera In Parenthesis this year thanks to a series of cinema screenings and online broadcast of the opera. In Parenthesis, which is commissioned by the Nicholas John Trust with 14-18 NOW, the UK’s arts programme for the First World War Centenary, is the operatic adaptation of poet, writer and artist David Jones’s epic poem. Composed by Iain Bell, it remembers David Jones’s personal experience as a soldier at the Battle of Mametz Wood where he served with the Royal Welch Fusiliers. Having received its World Première at Wales Millennium Centre, Cardiff in May, In Parenthesis will be broadcast on The Opera Platform on 1 July, coinciding with a performance at the Royal Opera House, Covent Garden and with the date of the centenary of The Battle of the Somme. It is WNO’s first full-length opera to be broadcast on The Opera Platform; an online platform which offers viewers the chance to watch performances and access additional content for free. WNO are one of 15 European opera companies – and one of only two UK partners – involved with The Opera Platform. 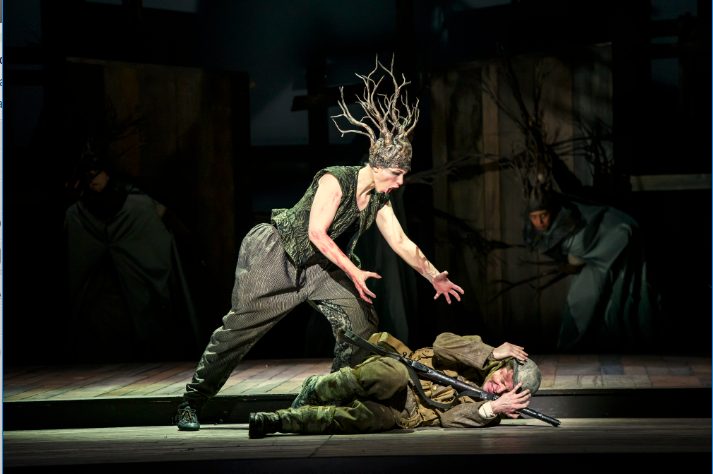 As well as the opera, WNO has provided video podcasts of In Parenthesis in the lead-up to the broadcast which document the development of the opera and are also available to view on demand. As part of the partnership, WNO will broadcast another opera on The Opera Platform in 2017. From 3 July, In Parenthesis will also be screened in cinemas across Wales, giving audiences across the country the chance to watch and listen to this work which is so deeply connected with Wales’s role in the First World War and the heavy losses sustained by the Royal Welch Fusiliers during The Battle of the Somme. The screenings will feature introductory commentary from WNO Nicholas John Dramaturg, Sophie Rashbrook. The screenings have been made possible thanks to a partnership with Rondo Media who filmed the production. Rondo Media have previously worked with WNO on filming several of their opera productions including Falstaff and the Welsh-language opera Gair ar Gnawd which was broadcast on S4C in 2015. Rondo will be working with WNO again on another broadcast project in 2017.